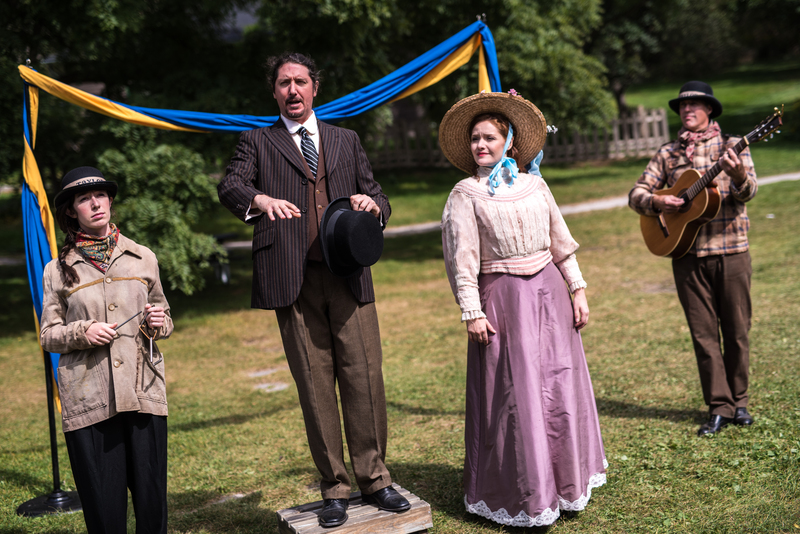 A new opera is taking audiences back in time at Todmorden Mills. 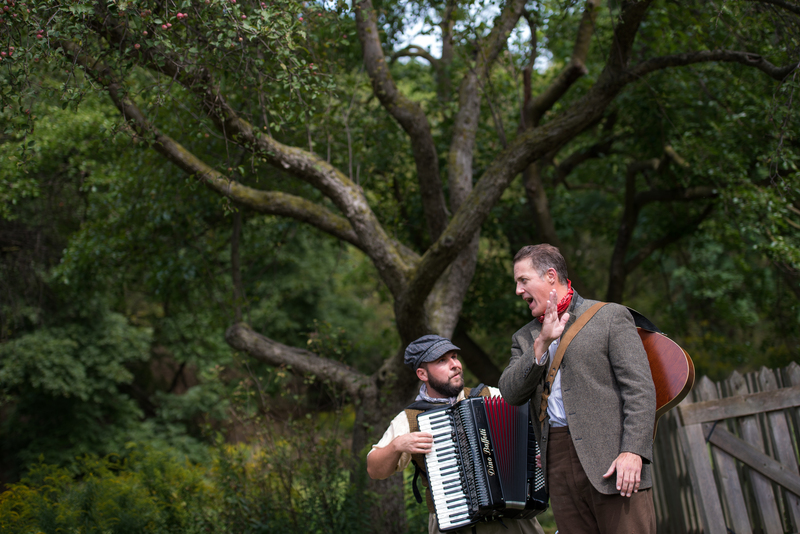 Each weekend in September, Tapestry Opera’s production of Bandits in the Valley is performed in the historic buildings and forests of the Mills. It’s about an hour long with no intermission, and the fast pace of the story and its movement around the property keeps audiences on their toes. The opera’s story is made up of two plots that don’t meet until the end of the show. Bandit leader Jeremiah (Keith Klassen) is seeking money from the mill owner, George Taylor (Alex Dobson), so that he can flee to Paris. Before confronting George, Jeremiah calls on his former flame Birgitta (Stephanie Tritchew), a maid from Taylor’s estate, and Freddy (Jacques Arsenault), a bandit and Jeremiah’s best friend, for help. Meanwhile at the mill, a travelling theatrical troupe called The Vagabonds are scheduled to perform. George’s pursuit of leading soprano Lily (Jennifer Taverner) is much to the dismay of Henri[etta] (Sara Schabas), the troupe’s leader. She reveals that she, too, loves Lily, and George and Henri begin a (musical) fight for her hand in marriage. The number from their fight was a great display of both singer’s ranges and their comedic timing. 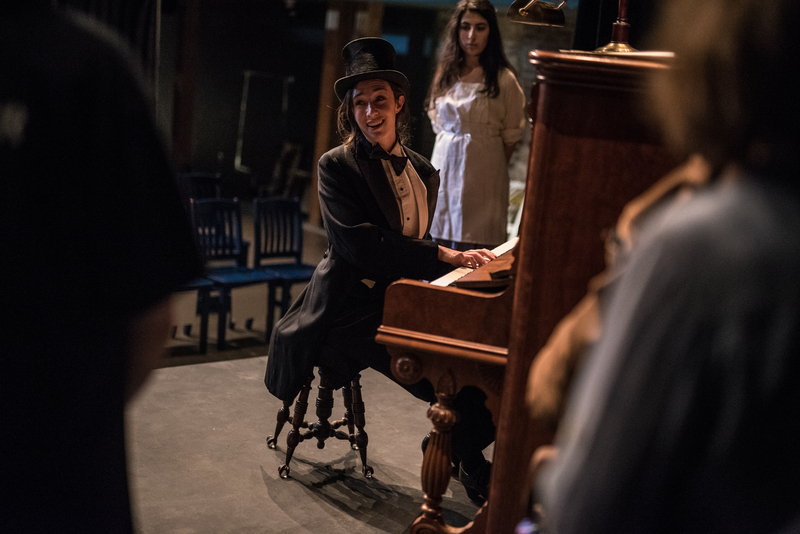 Standout moments in the show include the trio sung by Jeremiah, Birgitta, and Freddy; as the three move through an old house during the song, their strong harmonies fill the small rooms and narrow halls wonderfully. Freddy’s solo is especially memorable—accompanied only by his accordion, he mourns the inevitable loss of his best friend with a striking, rich voice. Another highlight of Bandits lies in Schabas’ portrayal of Henri. Her ability to flip from a comedic dislike of George Taylor—apparent in every “ugh” she mutters after he speaks—to sorrow, stemming from the unrequited love she feels for Lily, is impressive; and her voice maintains a clear, soft tone despite her vocal power. The concept of moving the audience around the property with the story was well executed. While the viewing areas were small—due to the fact that the historic buildings are small—the only obstructions to sight were caused by taller members of the audience. The close proximity between actors and audience allowed for charming asides and a more intimate way of interacting with the production. Speaking as someone who is unfamiliar with opera, Tapestry Opera’s Bandits in the Valley seems to be a great introduction to the genre and a unique way to experience the historic Todmorden Mills.